Although we do not yet fully understand why Ebola virus is so potent, the clinical signs and symptoms of human infection with this agent point toward a dysfunction of the vascular system. The syndrome caused by this virus—and all HFVs—are acute multiorgan diseases, associated with widespread tissue damage and diffuse vascular dysfunction. 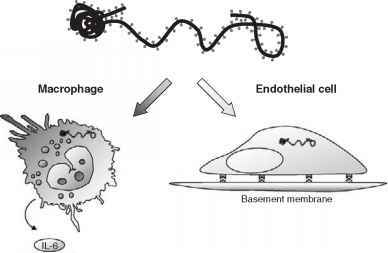 Macrophages, monocytes, endothelial cells, and hepatocytes are the main cellular targets of the Ebola virus . Macrophages and monocytes are considered the primary target for infection. 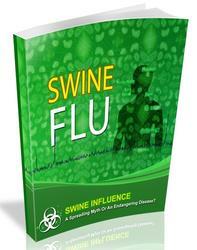 The virus then spreads to the endothelium and the parenchyma of different organs rapidly. Several factors may enable Ebola to be such an invasive and cytopathic virus: its effective blockage of the immune response, its unusually high rate of viral replication, its disruption of normal vascularization, and the severe damage it induces in infected cells. In Ebola infection, the vascular endothelium can be targeted in different ways: by indirect dysregulation through cytokines, chemokines, and other mediators released upon infection of primary target cells (including monocytes and macrophages); by secreted nonstructural viral proteins that may trigger the alteration of endothelial cells either directly or through the activation of primary target cells; and by direct viral infection and replication within vascular endothelial cells  (Figure 1). Filoviruses infect macrophages and other cells of the mononuclear phagocytic system at the site of entry and in regional lymph nodes. 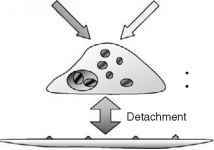 They then spread to fixed tissue macrophages in the liver, spleen, and other tissues throughout the body. Infected monocytes and macrophages become activated and release large quantities of vasoactive agents such as cytokines (i.e., IL-1b, TNFa, and IL-6), chemokines (i.e., IL-8, GROa), histamines, and peroxidases, which may lead to endothelial cell disorganization and increased permeability of the endothelial lining of blood vessels. 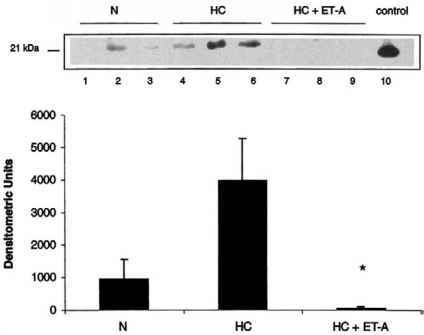 In particular, antibodies that neutralize TNFa block increased endothelial permeability in vitro, indicating a pivotal role of this proinflammatory cytokine in virus-induced disease. A marked elevation of IL-2, IL-10, TNFa, IFNa, and IFNg has been also noted in fatal Ebola cases. Platelet-derived agents triggered by damaged endothelial cells might also contribute to a shock syndrome. Experimental data further provide evidence for changes in the protein organization of the endothelial cell junctions, particularly the VE-cadherin/ catenin complex, although the molecular mechanisms involved have not been fully elucidated. These factors may contribute to the disruption of fluid balance between the intravascular and extravascular spaces. Ebola virus encodes nonstructural proteins, which are released from infected host cells. These proteins may trigger the activation of endothelial cells either directly or through the activation of their target cells. Their function as potential determinants in pathogenicity remains to be investigated. In addition to inducing indirect damage to the vascular endothelium, Ebola virus also directly infects microvascular endothelial cells. Direct infection of endothelial cells can cause massive endothelial cell damage, compromising vascular integrity and inducing microthrombus formation. This may result in interstitial hemorrhages, fluid shifts, tissue ischemia, and cytokine dysregulation, which together may lead to development of disseminated intravascular coagulopathy (DIC), diffuse bleeding, and shock. In addition, cytopathic involvement of the parenchymal cells of multiple organs may cause tissue damage, especially involving the liver, which could further contribute to the DIC. Experimental evidence supports a role for both direct and indirect damage to the vascular endothelium in Ebola pathogenesis. Ongoing efforts have recently focused on identifying the Ebola-encoded genes responsible for these pathogenic effects.